I have to say that of all the brands I have tried, Mario Badescu is one that I truly love. But, as a perpetual product "tryer" ie. 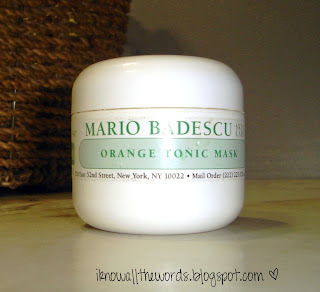 a never ending urge to try something new, I haven't replaced many of my Badescu favourites.I did just receive an order containing one of my all time faves: orange tonic mask. I first tried this product when I completed the Mario Badescu skin analysis and this product was included in the free samples they sent me. You'd like some samples too you say? Well, I guess I could tell you... go here. Be patient, and a nice sized packet of goodies will greet you, if by chance they don't arrive, send them an email. After waiting for months, and receiving nothing, I did, and they sent them out again. Out of the range of products I have used by Badescu, this mask is not only my favourite product by them, but also one of my favourite masks period. 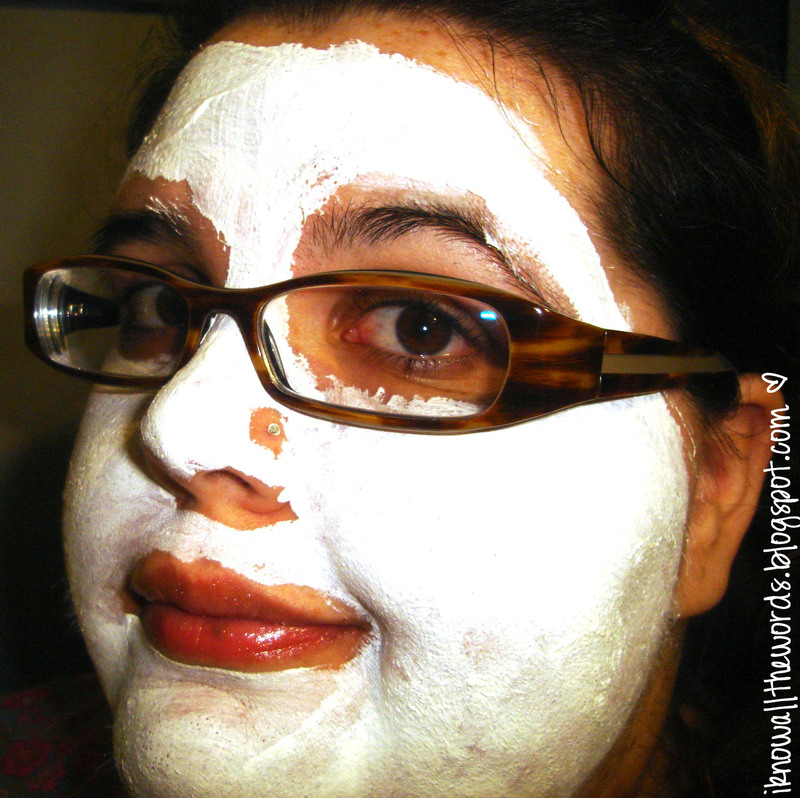 I love a good mask as much as I love a good scrub (an I LOVE a good scrub!) What makes the mask so great? It really works! I have tried way too many masks that don't do anything. In my opinion a good mask does two things it does what it claims to do, and it dries, heats up or... whatever else masks are supposed to do. Mario Badescu states "Purify and tighten pores with this refreshing clay mask designed to treat normal, combination or slightly oily skin types. Reduce pore-clogging build-up that can cause pimples and blackheads by using this mask regularly. Rejuvenates dull skin with Orange Peel Extract, a natural AHA which exfoliates the skin." As someone with large pores, I like that this product really does not only tighten them up, but it also works to unclog them. I use this mask quite often, for the simple fact that it works. You apply it thinly over your entire face and wait for it to dry, which usually takes 15-20 minutes. Then simply wash it off. I can see that it has tightened my pores and it makes my face feel amazing. And, it has a natural orange scent. It sells for $18 for a 2 oz. container, but it lasts for a surprisingly long time. I like to apply it with a q-tip so I'm not dipping my fingers into it. Also, when you order you get to choose three free samples! I love that their samples are so generous and you really feel like you have tried the product. I chose the Strawberry Tonic Mask (cousin to the orange) Whitening Mask and the Strawberry Face Scrub. After this very good review, i wanna try this product. only hopefully i could find one from where i live. nice post very informative and helpful!